When sustainability moves to the forefront of travel, incredible innovations emerge. And when Rolls-Royce gets involved in the stylish engine and hull design, you know you’re in for something special. With MS Roald Amundsen and MS Fridtjof Nansen set for completion in 2019 and 2020, respectively, both ships will revolutionize modern-day cruising in the world’s most remote areas. 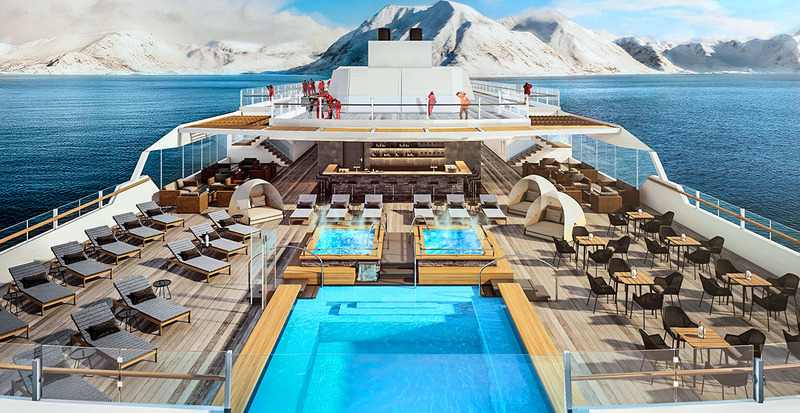 Not only will these sleek new vessels look stunning, but they will also set an important precedent in the ever-growing world of polar travel to the Arctic and Antarctic. Using an auxiliary electric engine, the hybrid electric-powered MS Roald Amundsen will reduce fuel consumption by an incredible 20 percent. MS Fridtjof Nansen will be built with a hybrid electric-powered engine designed to transport you effortlessly — and sustainably — into some of the world’s most pristine, fragile areas. See how Hurtigruten is getting ever closer to quiet, emission-free expedition cruising when you go behind the scenes with MS Roald Amundsen in this exclusive video. Be part of something amazing. Contact us now.